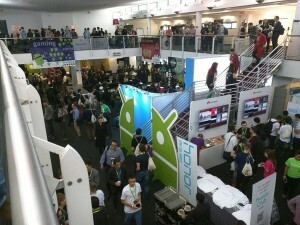 As well as some great talks and speakers the other part of the droidcon is the business hall. 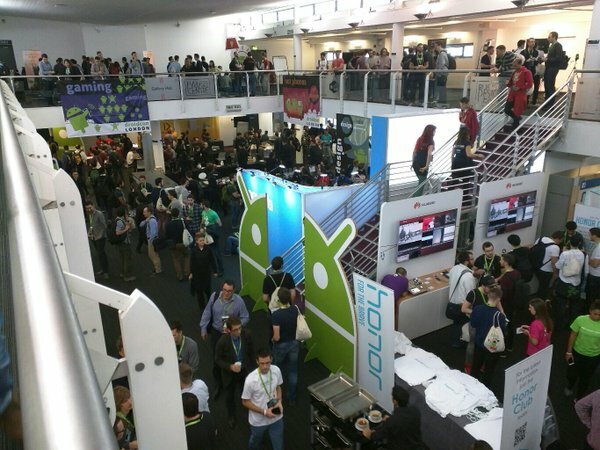 Its always interesting going around the hall between talks to catch up with a few of the companies and also see a few cool Android tech demos (and hoover up as many freebies as possible of course! 🙂 ). The highlights I found were as follows. JRebel for Andorid – Great little tool that allows live previews of the app your developing reducing the feedback loop while developing instead of wasting time watching your app build. Project Tango – A chance to see a development unit of the project tango mobile in action from the guys at Google showing live rendering of a scene in 3d. Impressive to see on a mobile and sure has future potential. Google Cloud Spin Cameras – Didn’t get a chance to test this demo project for Google Cloud Platform 3d camera capture project but looked cool. Audi – Great to see a quality car company embracing Android auto. Sony – Another regular attendee but this time it was nice to go and see their new phone the Z5 which has a couple of cool features like a great camera and fingerprint sensor on the power button. This was a really nice change from the usual talk format and new to this years droidcon. It was more of a workshop format were we got into teams and learnt how to do requirement gathering around the stages outlined below. Interesting talk giving an insight into how ustwo created their venture into VR with a game called Lands End. The main take away from this talk was the fact that VR is a tough platform to get right and all the aspects need to be spot on to get a great experience. A great quote from them I thought was VR experience is ‘expensive time’ for the users as it’s totally immersive so all more reason to make it awesome! What can I say about these talks or should that be stand up routine for the first one? This was the second year Chet had done the keynotes, one funny and one serious (based on these blog articles) and it is definitely one of the highlights of the event. Very funny guy and a welcome change from the infomation overload sometimes. 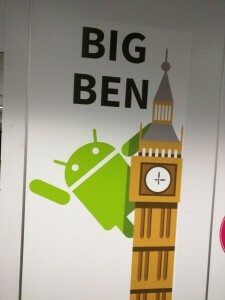 This was a very interesting talk about the new compiler that Google are trialling in Android called Jack & Jill. Eric clearly explained how it works by replacing the current .class to dex (bytecode) process also showing some tests to illustrate performance improvements and scope for future expansion. The proguard obfuscation has also been re-written and included in the new compiler which should improve the process as well. This was a talk on a topic which all developers can relate to, the struggle between designers and developers when creating an app. 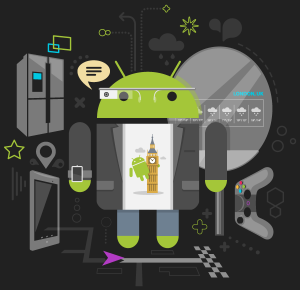 Some good points here about not just saying ‘no it can’t be done’ and educating designers on Android best practice. Another stand out talk for me as this was a new topic for me, but struck me as possibly the new way of thinking when it comes to modern programming practices (with the rise of RXJava & Kotlin etc. both referenced in the talk) Very clearly explained with a few good reading refs here and here. Quite a nice talk on battery optimisation with a couple of useful tips and tools mentioned. Intel tools for battery analysis called Energy Profiler & VTune Profiler . The well known Jake Wharton from Square and Acton bar Sherlock fame gave a very interesting talk about the new Kotlin language from JetBrains and how it can be used to help extend and improve upon existing api’s in the Android framework. 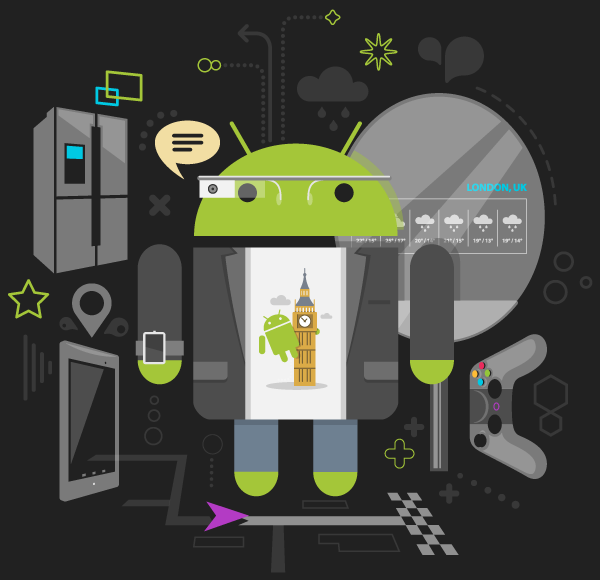 V nice language with loads of scope for making Android devs lives & code better. This was a really interesting talk about an open source Continuous Integration server that the BBC made while developing the iPlayer app called HiveCI (amongst other tools). Some good insight into the struggles they had with testing the app used on so many devices. 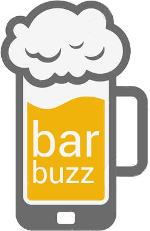 One last talk that might be worth a look at is a bar camp talk about a apk decompiler tool called Classy Shark which looked like it could be useful for inspecting 3rd party apps. Hope there is some useful stuff in there if you didn’t make it this year. Huge thanks to all speakers & organisers and roll on Droidcon 2016!